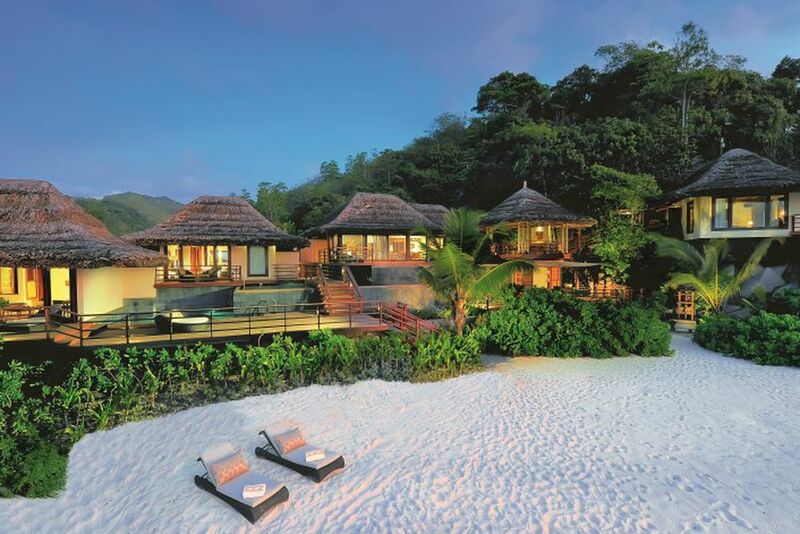 Experience pure luxury on the north coast of Praslin! 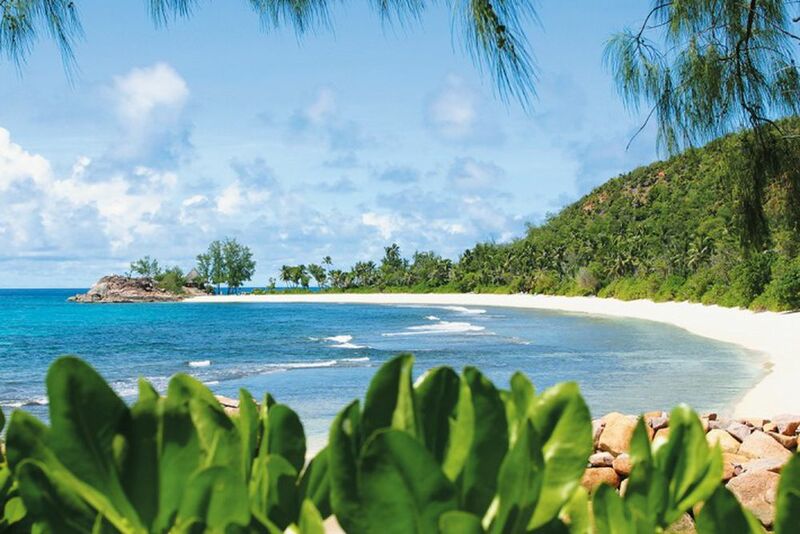 Enjoy dreamy sunsets and the Praslin coast during unforgettable beach walks. 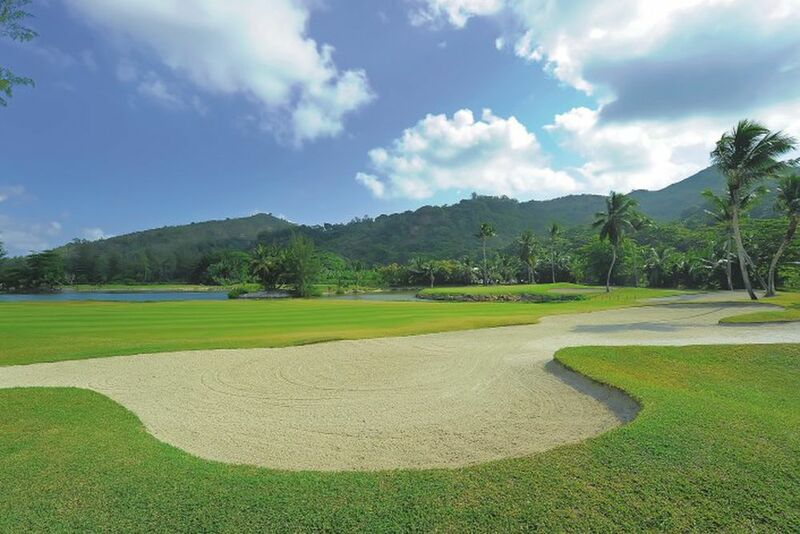 For golfers, the hotel's first-class 18-hole championship course is available. The first room category is 52 m², and will delight you with its bright interior design. 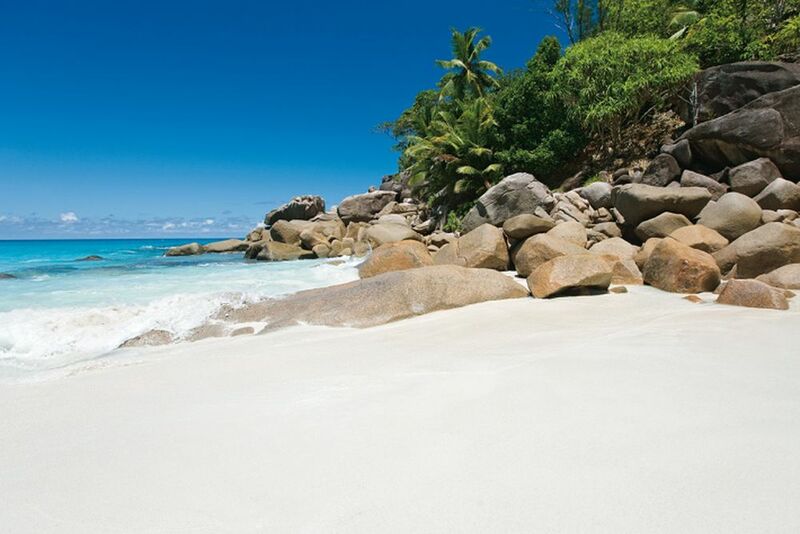 Discover the beauty of the beach's beautiful granite rocks. 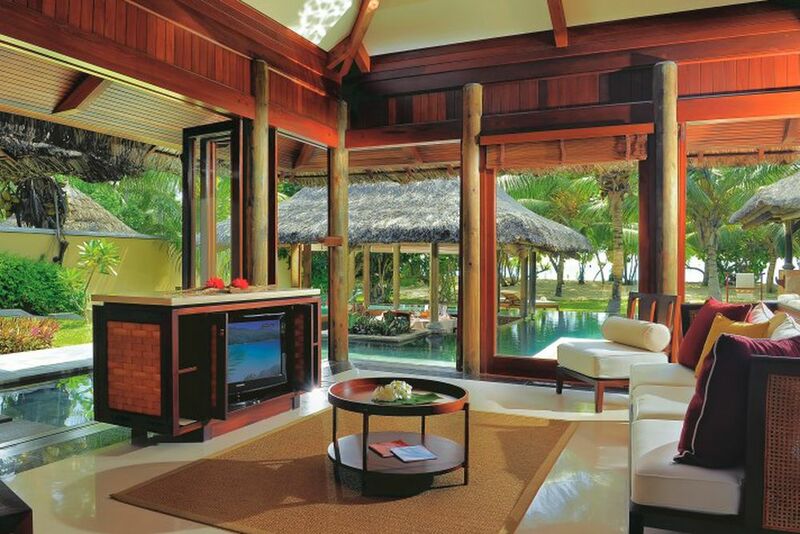 The open design of the villas allow the sun to shine throughout your room. Relax in the green gardens of the villa and let your mind wander. 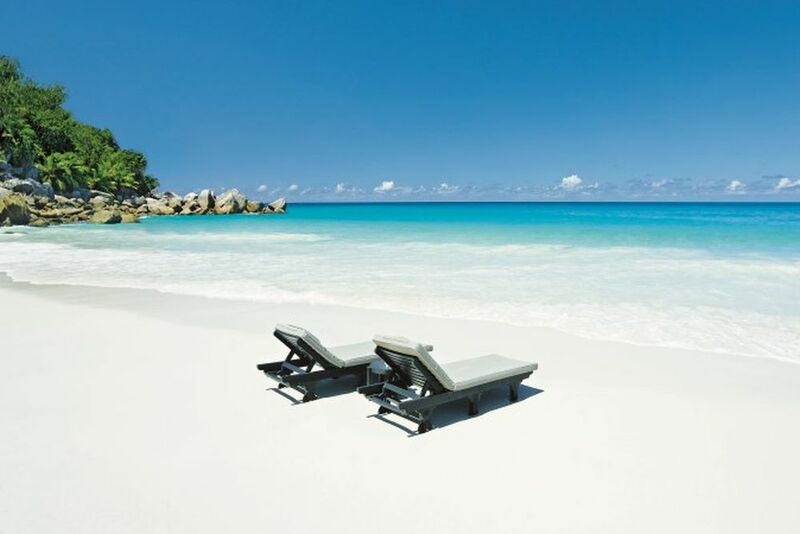 Who wouldn't want to spend their holiday on this appealing beach? The comfortable rooms are simple yet extraordinary. Underneath the trees on the beach, find a shady spot to kick back. Even at dusk, the beach magically attracts the guests. 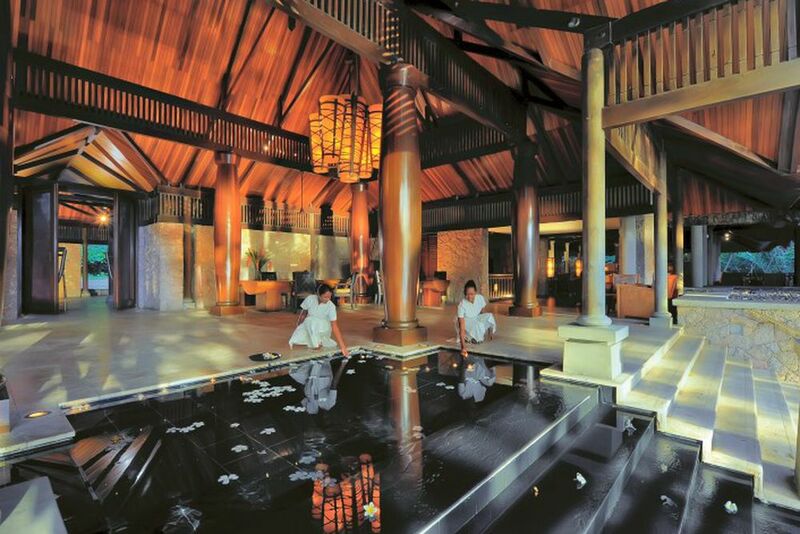 Authentic design and pure elegance characterize the image of the resort. Need the perfect place to cool down? The pool area is there to help! For the active guests, try various sports on water or land! With exceptional views, this restaurant will remain in your memory forever. The water is wonderfully refreshing! A romantic ambience and outstanding cuisine - a wonderful combination for an unforgettable evening. Experience the hotel's golf course with an outstanding view. 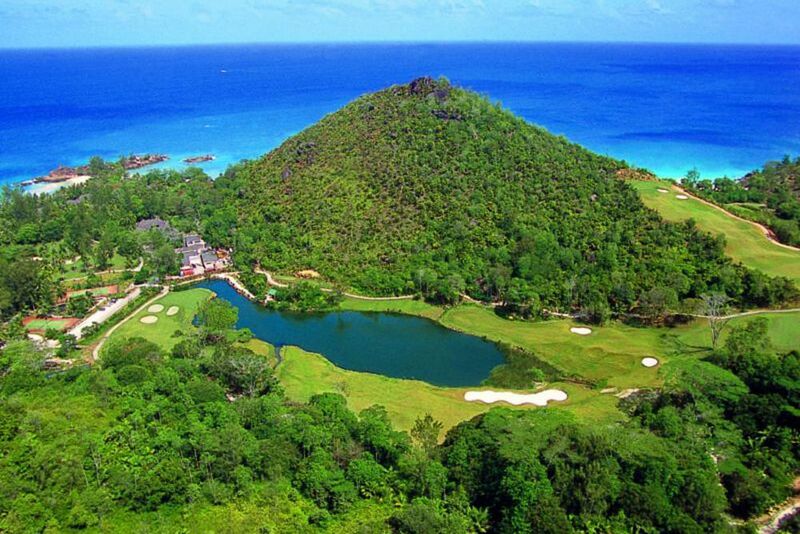 Would you have ever thought that you would be golfing in Seychelles? The lobby's pleasant atmosphere welcomes you. We have already reserved your dream place for you. The whole day promises fun and entertainment at the Kids Club. Relax and enjoy the atmosphere at the hotel's pool. 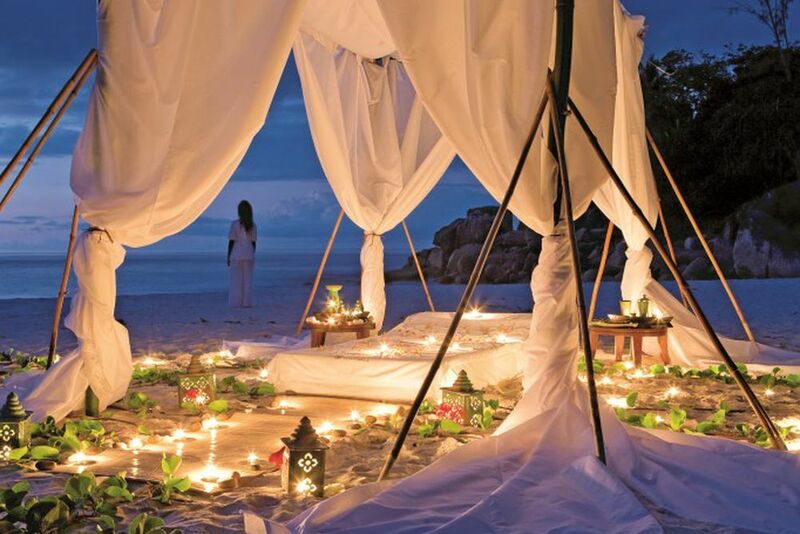 Romantic moments just for you and your partner. The 18-hole championship golf course will be unforgettable to any golfer. 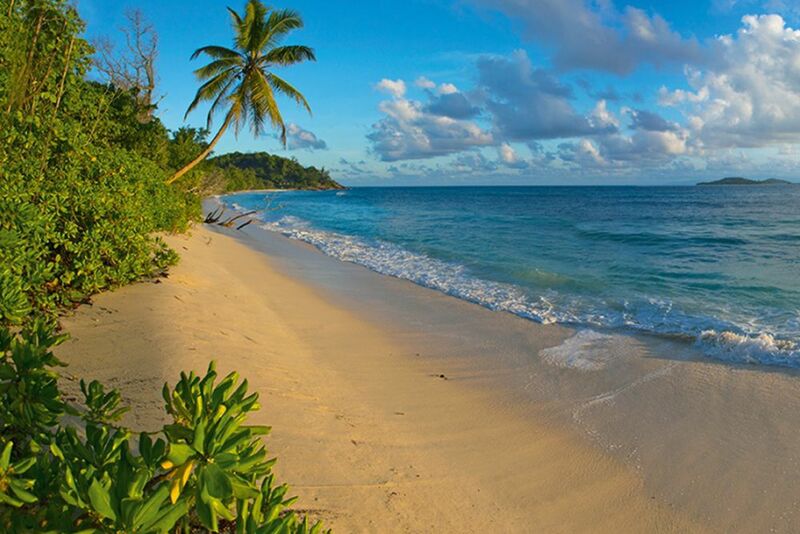 Discover pure luxury between three dream beaches integrated in perfect harmony with nature. 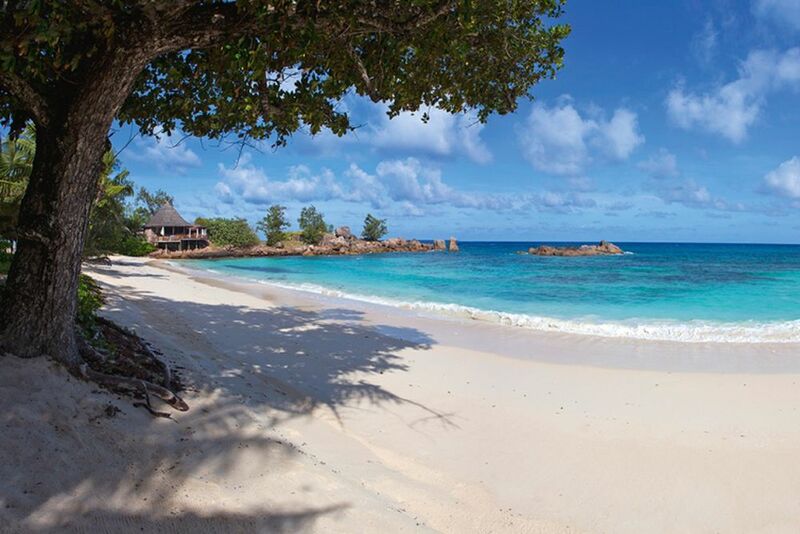 The exclusive location of the five-star resort, Constance Lemuria on the island of Praslin, makes it an exclusive getaway surrounded by unique beauty. Live on the legendary island of Praslin! Stories say that Lemuria is a small piece of paradise that emerged from the sea when the earth split and the continents dispersed. 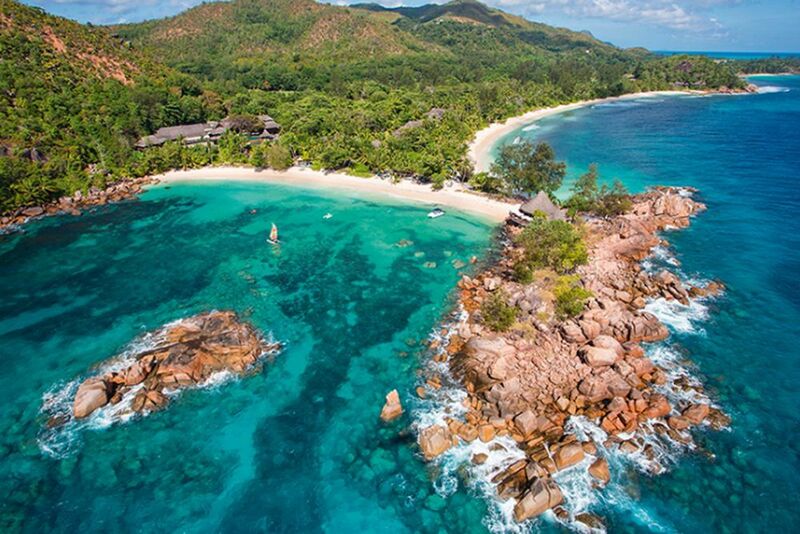 Idyllically nestled on the northwest coast of Praslin, the Constance Lemuria Resort is only a five-minute drive from the airport of the second largest island in the Seychelles. Due to the slope of the main building, the beautiful view over the beaches of the Anse Kerlan impresses all guests. 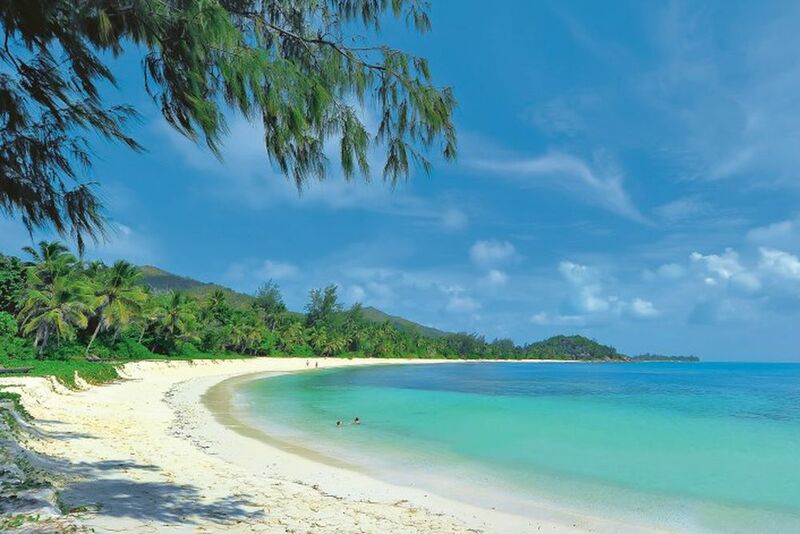 The Praslin airport is about five minutes away, and Mahé can be reached in about 20 minutes by helicopter. 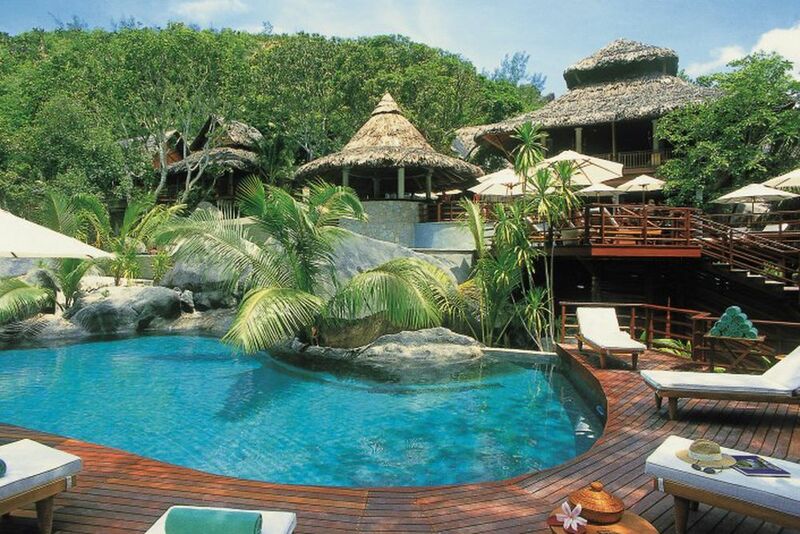 At Constance Lemuria Resort, they strive to blend nature with the luxurious architectural designs. 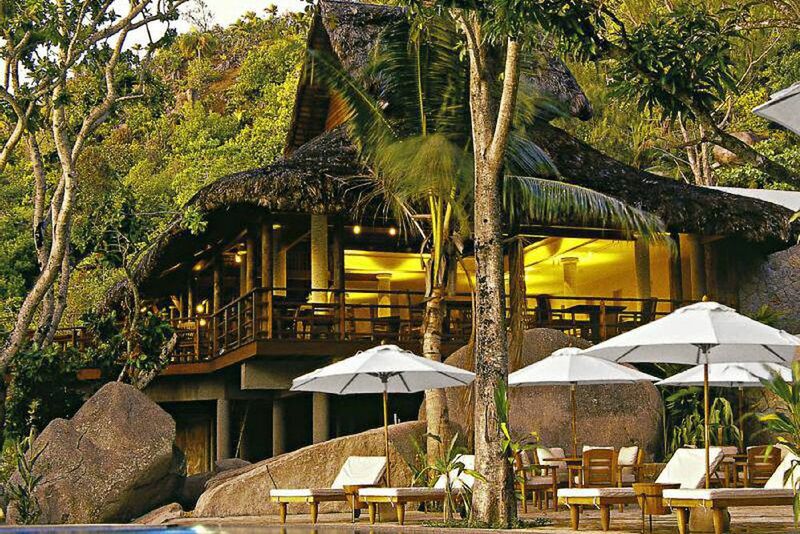 The resort creates a cocoon of luxury amidst vibrant nature, materials such as wood, stone, pink granite, marble and thatch palms are used to create a modern and warm atmosphere. 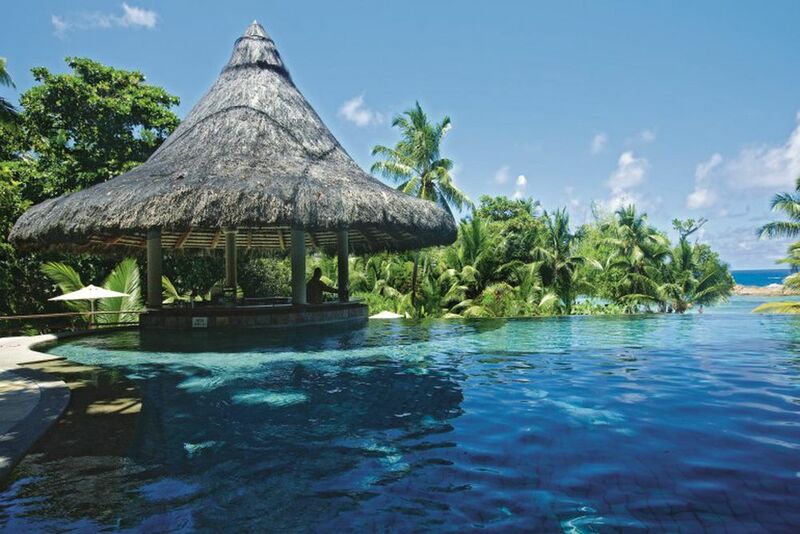 Enjoy three levels of a naturally created pools that extends from the main building and down to the inviting ocean. 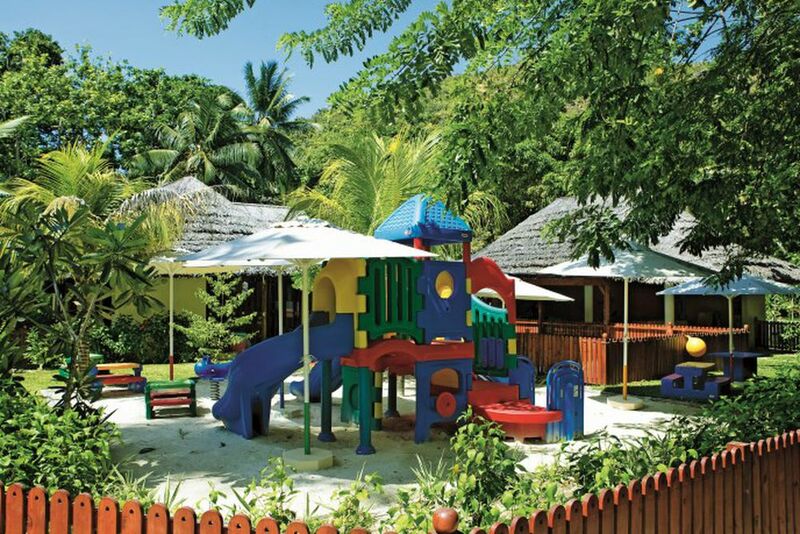 The younger guests can also enjoy their time on Praslin island at the Constance Kids Club, available for children aged between 4 and 11 years old. 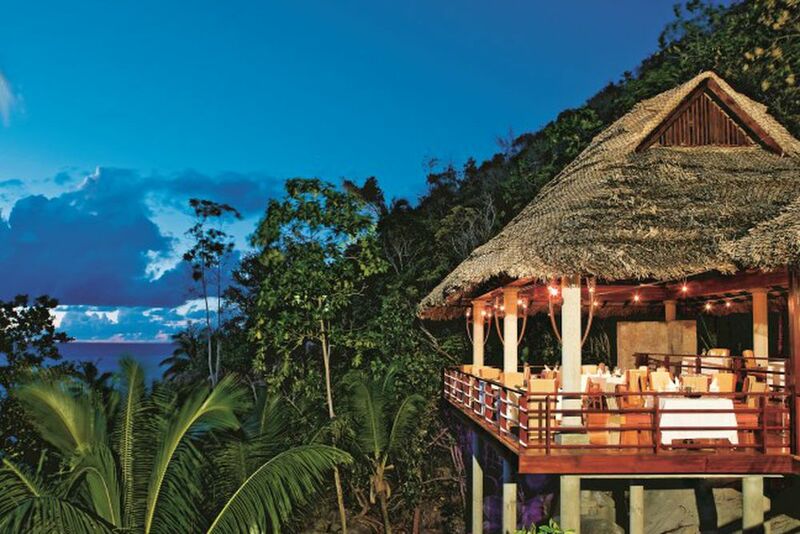 Savor the many flavors of Seychelles at the restaurants and bars of the hotel. 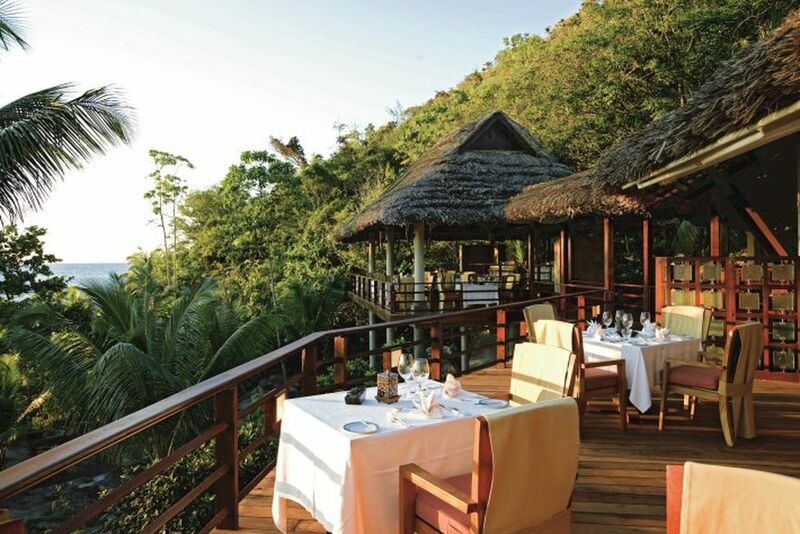 The Legend is the hotel’s main restaurant, and they serve the finest specialties combining traditional recipes from Europe, Asia and Africa with the exotic flavors of Seychelles. Their buffet is open daily for breakfast and dinner with Indian specialties as well as theme nights in an elegant and relaxed atmosphere. At lunchtime, light dishes such as sandwiches, burgers and pastas are served, complemented by beautiful views of the sea. Located on the 11th hole of the Lemuria golf course is the cozy garden restaurant, Diva. Boasting impressive views, this restaurant offers refined cuisine, exclusive wine and an elegant atmosphere. At The Nest, enjoy delectable seafood prepared in a traditional Creole style. Both the Takamaka Bar and the Legend Pool Bar offer a wide selection of premium drinks with a relaxed barefoot experience. 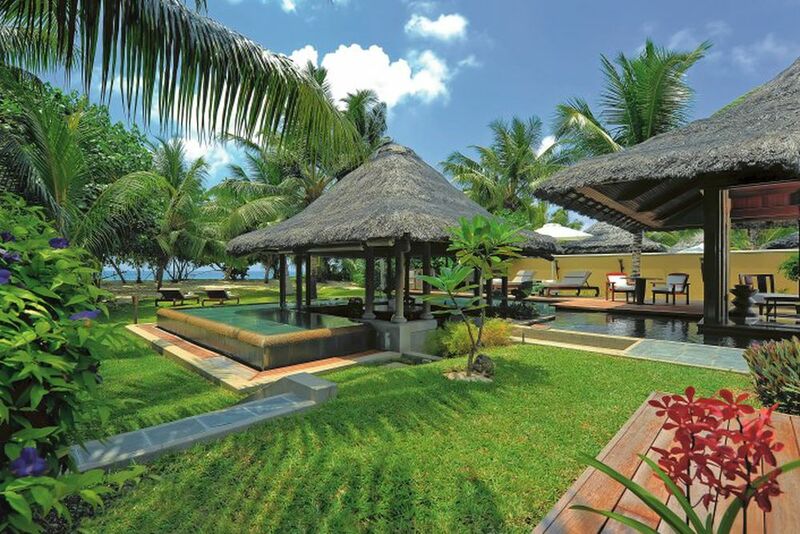 The elegant and spacious suites and villas of Constance Lemuria Resort are located along two pristine beaches and surrounded by tropical greenery. Facilities include a bathroom with a bath, air conditioning, ceiling fan, hair dryer, seating area, free Wi-Fi, mini bar, safe, satellite TV, mini Apple Mac, and a telephone. 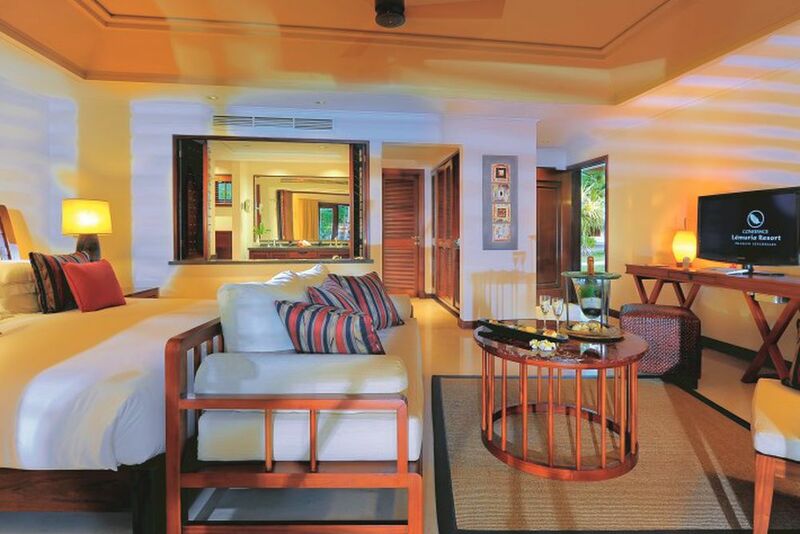 Junior Suite (52 m²)— Positioned just 15 meters from the shore, these suites are discreetly nestled amongst the natural Seychellois gardens and offer a spacious balcony or terrace to enjoy the beautiful surroundings. Maximum 2 adults and 1 child or 1 adult and 2 children. 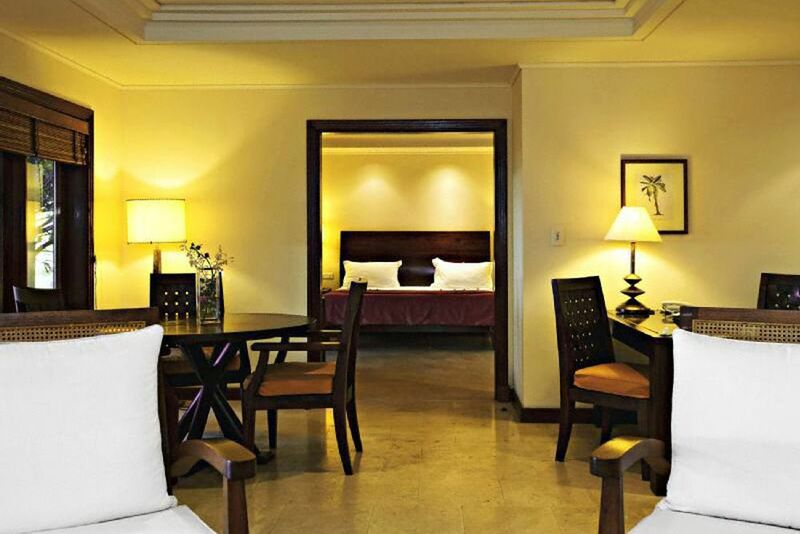 Senior Suite (115 m²)— Relax in the exceptionally spacious suites that are lavishly designed for your comfort. They feature an additional whirlpool bathtub, separate living area and a large terrace or balcony double the size of the Junior Suites. 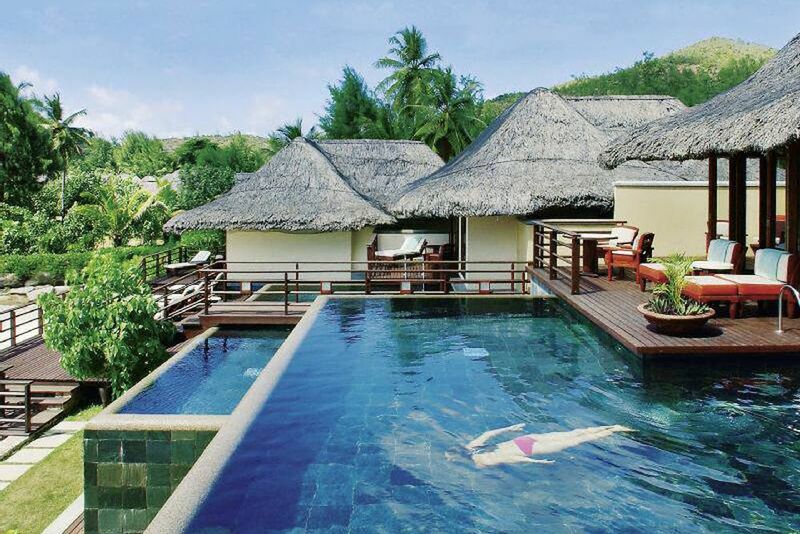 Other villas, such as Pool Villas or 2 Bedroom Villas, available upon request. 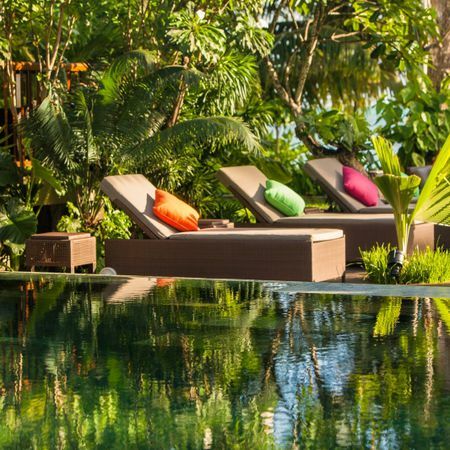 The quiet and luxurious U Spa by Constance, located in the tropical garden, provides an oasis of relaxation perfect for escaping reality. Choose from an array of treatments, like massages or face and body treatments. Spa facilities include single and double treatment rooms, sauna, steam room, hot tub, cold pool and fully equipped fitness room. 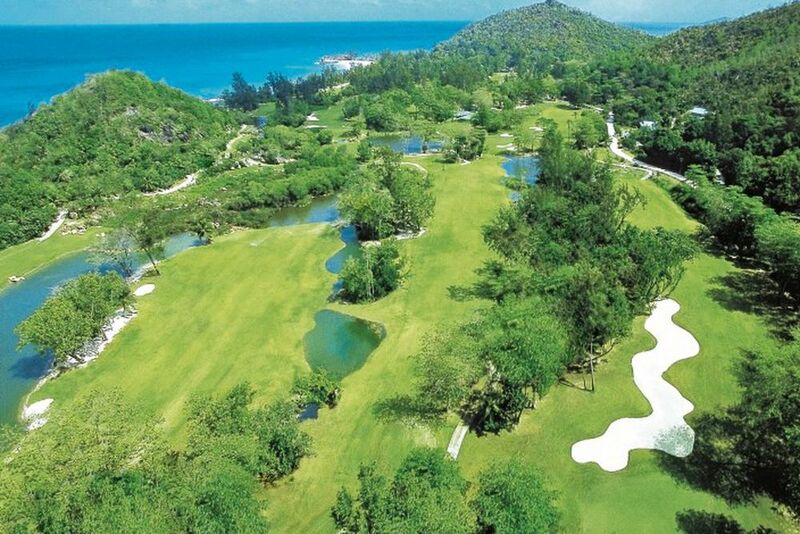 For the golf lovers, there is an 18-hole championship golf course that must be played at when vacationing in Seychelles. 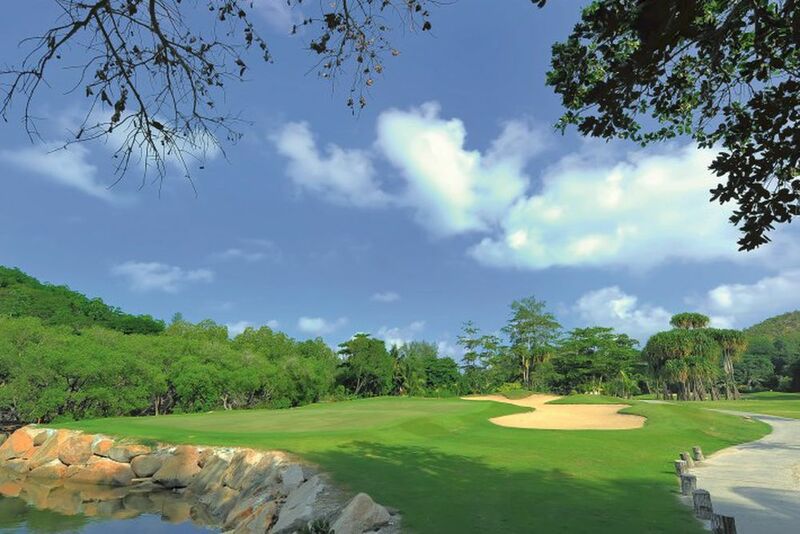 The first 9 holes lie beneath the shade of coconut palms, and the last 9 holes boast spectacular views of the sea and outlying islands. The green fee for guests is inclusive (club car obligatory for a fee). Guest have free access to the two floodlit tennis courts, mountain bikes, pedal boats, kayaks, windsurfing and body boards. For a fee, try diving at the PADI diving school, deep sea fishing, and water sport lessons.